Hector is being hectored by an unlikely bully: a talking brain tumor. And it’s not just a talking brain tumor. It’s a know-it-all, pain-in-the-arse, jibber-jabbering brain tumor that names itself Jack, and insists on coaching Hector through life even as it’s threatening to take his life away. It’s a pretty good coach, actually. With Jack in control of Hector’s speech and brain chemicals, Hector suddenly finds himself with a cool haircut, a new fashion sense, and tactics for snogging previously unattainable hottie Uma Upshaw. But when Jack begins to force increasingly questionable decisions and behavior, Hector has to find a way to turn the tables – before it’s too late for both of them. I think it has to be an unspoken rule somewhere that if a book is written about a British teenager, it MUST be uproariously hilarious. Ha. Or maybe it's just because I'm an American I get so hopelessly amused by the dry witty humor of those darling Brits. Regardless, I got a total kick out of Jack Tumor. I mean at first the book sounds weird and kind of ridiculous. The idea of a talking brain tumor is less realistic than the majority of the plot of the Secret Life of the American Teenager...but then when you think about it...really...how can you not find a talking brain tumor hilarious...even if it is a bit of a stretch of the imagination? 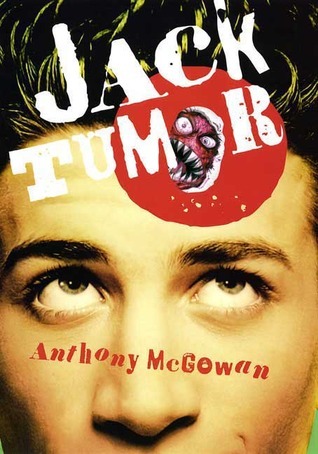 Jack Tumor is a really great read, in a sick and depraved kind of way. But that's me! Sick and Depraved all the way baby!...erm...yeah. So the book starts off right away with Jack the Tumor's first word. Arsecheese. You immediately know you're about to be slapped in the face with hilariosity and snark...especially if that's Jack's FIRST words. We then proceed to go on an adventure as Hector struggles through daily life with the constant commentary and interference of a malignant brain tumor. In a weird way, you start to like Jack. He is the drive to stay alive...procreating at any cost...even though he's kind of a jerk and totally screws up Hector's life in the process. Hector and Jack aren't the only two characters to contend with in this bizarre reflection of the teenage condition. You've got ex-hippie moms who keep the identity of Hector's father a secret. Then Hector has to deal with girl problems.  Both his hormones and Jack want him to get with the sexiest girl in school, but Hector can't seem to get the average Amanda Something (he can't quite remember her last name) out of his head even though she is weird and has the most unbecoming birthmark on her cheek. Then there are Hector's friends...a dopey, rundown, loser gang that lurks in the most unappealing corner of every school's cafeteria, but always seem to be filled with the most interesting personalities of them all. Even though most of the characters have little depth and border on being cardboard characters, they are at least entertaining and fire of zingers and witty banter with the ease of a trained Hollywood comedian. I will say that the final "showdown scene" between Hector and his nemesis Thierney was rather boring. The whole book long there is this huge violent build up complete with death threats, beatings, and hateful words...then what is the huge climatic fight scene? A chocolate covered snack eating contest? Come on...and if Thierney is shown to be allergic to peanuts then he goes from cool to a loser? Yeah...not likely. Allergies aren't typically something that kids get made fun of for, unless you know..they are allergic to everything. But one allergy to nuts is not going to condemn a kid to loserville and shame.I felt like it was at this point when we finally lose the battle with believability. A talking brain tumor? okay. The loser kid somehow snagging a date with the most popular girl at school? It could happen. But the school jock and bully being taken out by an allergy to peanuts? Lame. The author really seemed a tad out of touch with this generation's young people if he thinks that they are so inclined to hate over a food allergy...so I was kind of let down with the anti-climatic fight scene. I give Jack Tumor 4 Keys out of 5! For some people, this book might be hard to wrap your mind around. It's got a ridiculously unbelievable premise but when you suspend your belief for just a little bit, you'll find some hilarious gold in this old tumor yet. The slapstick comedy, mixed with really kind of gross potty humor will be great for teenagers, especially boys. I admit that some of the comedy fell flat for me, but then again, I'm not exactly the intended audience. I think that this is a great summer read, just because of it's laugh out loud, totally irreverent humor. Then while you're laughing your pants off, McGowan manages to sneak in a little heart and hope so that you leave the book on a happy note. Since this is, after all, a book about a deathly cancerous tumor killing a teen, that is a pretty great accomplishment.